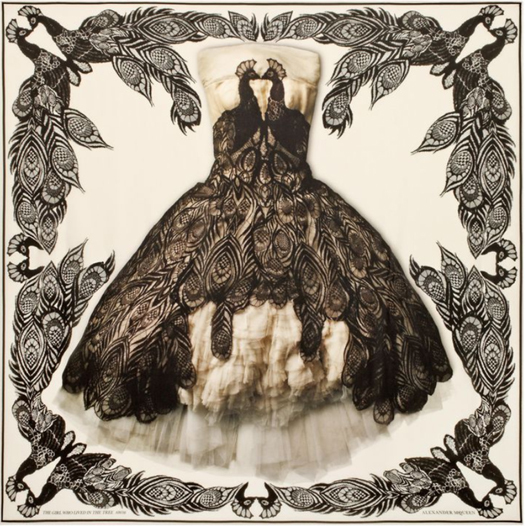 Whole Europe is excited with the news of the Alexander McQueen exhibition opening at the V&A museum, and along with it the designer’s aficionados are rushing to get the collectibles created to celebrate Savage Beauty’s leap from the successful sold out original at the Metropolitan Museum, New York, to Victoria & Albert’s expanded version in London. The initial record-breaking retrospective of a unique talent’s work managed to reassemble its pieces (belonging to various private collectors and institutions), got enriched with another 60 or so rare items (around 240 in total), and is ready to charm its visitors at the British capital. Couple of nights before, a gala took place with stylish VIPS having the chance to see the designer’s treasures first, among them Victoria Beckham and Kate Moss tuning in the creative genius’ philosophy of being fearless and provocative, yet always in style! 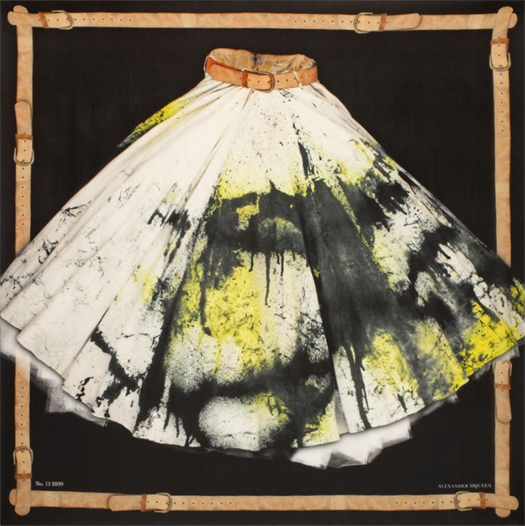 The limited edition scarves (100 from each style and soon to be sold out) depict few of the designer’s epic creations including the Plato’s Atlantis ‘Armadillo’ platform booties and the wondrous on-the-catwalk-spray-painted dress that model Shalom Harlow wore at the notorious Spring/Summer 1999 show. You can get them online at the house’s website, but first off, I’ll snap couple of those for me! Salma Hayek in an Alexander McQueen FW 2008 dress and her husband François-Henri Pinault of Kering. 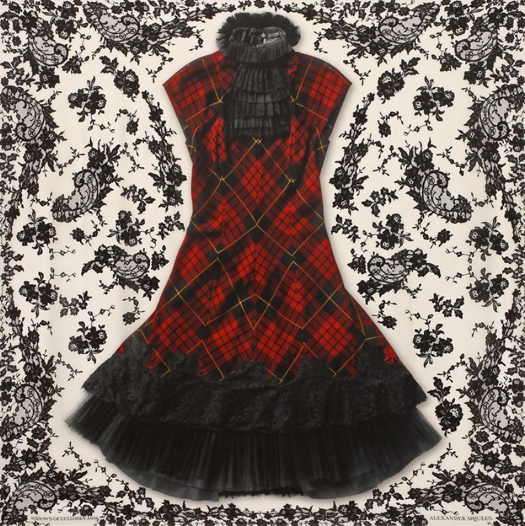 Her dress is depicted in the following collectible scarf too! Ralph Lauren and Royalty for a Good Cause!